Learning in life never ceases if you have the heart to achieve your dream. Such is the journey of Meilan Meredith from her early childhood days until owning Business Systems Limited, which celebrated its 40th birthday this year. Mrs. Meredith attributes the success of her business to the fundamental values of a family. This is the stronghold of her career and her aspirations to become successful in life. Mrs. Meredith was brought up by her nanny in Savai’i from the ages of 8 to 12 years. It is from this experience that broadened her knowledge as a young girl to explore what life has in store for her. “So I guess, it was the life that I experienced growing up as a young girl that made me want to learn and explore more about work and how to make use of my life because I was not good with academic work. I saw myself more as an outdoor person,” she said. She said her mum, Amy Leung Wai Steffany, taught her how to manage both family and business and this she did very well with her seven children. “I used to have a huge van and I always take my children inside the van and my friends would laugh at me when I take my children. That’s usually my routine, I wake up, and get my children ready for school, and I take them to school and then I come to the shop,” Meilan said. Mrs. Meredith comes from a family of ten siblings, six girls and four boys. “When I did not complete my education, my dad told me to go and work at the family farm with him, so I used to go pick cocoa, pawpaw and banana and then I would sell it. I love selling what we got from our farm,” she said. She said when her siblings went overseas for further studies, she decided to spend her time helping her mum and dad with their business and their farm. Mrs. Meredith never stopped at this, she was an explorer, trying out and always wanting to learn more about what she sets herself out to do. It was such charisma that drove her to establish her business - B.S.L. Her humble beginnings was the steering wheel in whatever decisions she made in life, especially with her mum’s teachings about family. It is only right to say that being a businesswoman runs in her family’s veins. Mrs. Meredith’s maternal family, the Leung Wai family, once graced Apia with their successful business. 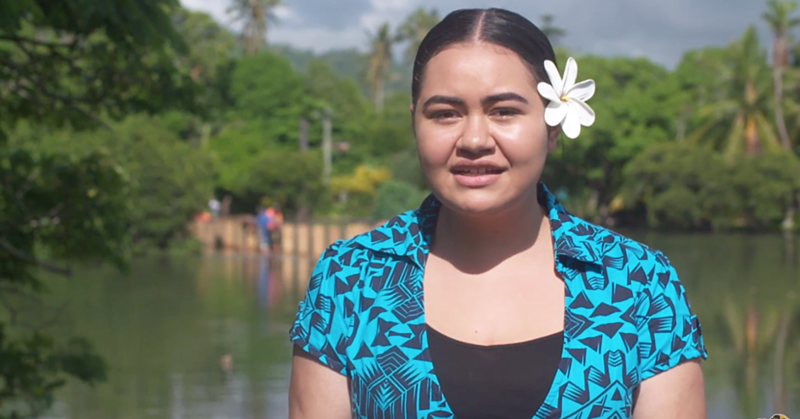 “My brothers they had a business here in Samoa too, my twin sister runs a mall here as well,” she said. And today her children are involved with their family business. But she said her children’s choices were always important. 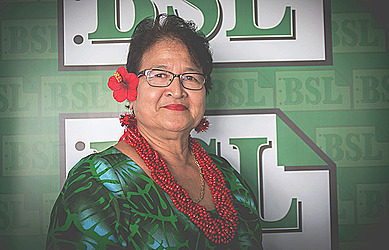 And from the corner of a small shop supplying stationery to Samoa’s education sector, to a mega house supplying office materials and equipment, B.S.L. has surely grown from the vision of a lady who sewed her dreams as a young girl. Mrs. Meredith said she still retained her customers despite relocating. She adds her eldest son, Jonathan, who once represented Manu Samoa in the Rugby World Cup and now plays cub games in Samoa, was brought up inside her small shop. Teachings and values she inherited from her mum and dad is being passed down to her children and grandchildren. She added that B.S.L. exists to ensure Samoans purchase quality products at affordable prices. Mrs. Meredith wishes all Samoans a prosperous New Year.